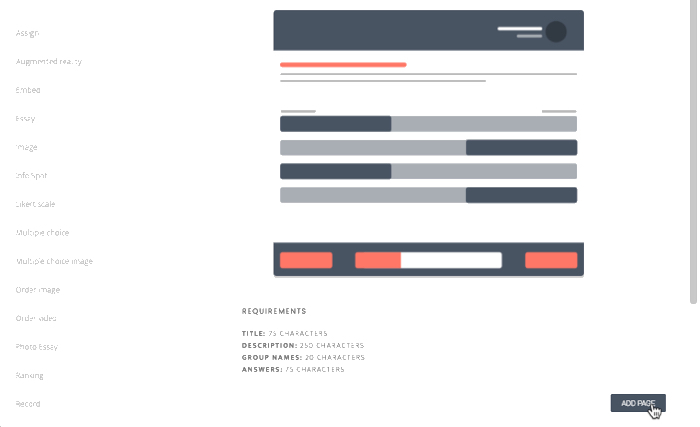 In this tutorial you will learn how to add an Embed page. An embed page gives you the possibility to add interactive content to a page. When you embed something, you show content from another website on your page. An embed-link is needed in order to use this. sing an embed-link means that you are pasting a piece of the other website content in your own page, without moving the content itself. Examples are an interactive timeline, a Youtube video or a Google Maps map. There are countless possibilities. Step 1. Click on ‘Courses’ in the menu on the left. Step 2. Navigate to the course where you would like to add a new page. 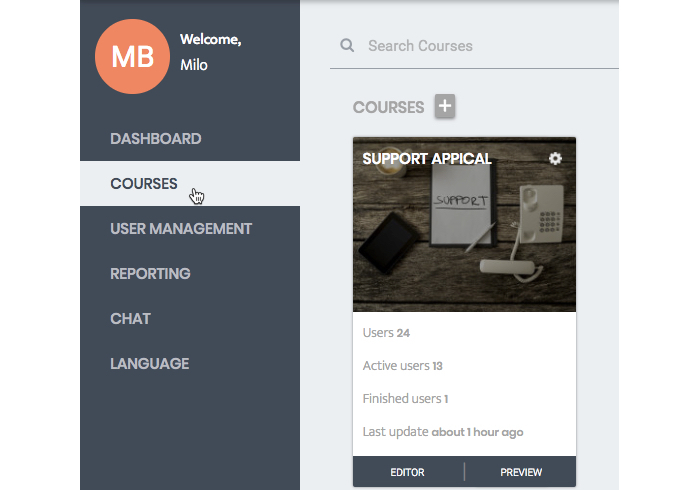 Click on the button that says ‘Editor’ the bottom left corner of the desired course. Step 3. Next, select the story where you want to add a new page. Step 4. Select the chapter in the menu on the left. Step 6. Choose ‘Embed’ in the menu on the left and click on the button that says ‘Add page’ in the bottom right corner. Step 7. Select the desired language. Step 8. Give your new Embed page a name. Click here for a guide on choosing a good name for your page. Step 9. Pages are set to ‘live’ by default but can be set to draft. Draft pages can be very helpful when you’re working on a page while new hires are already using AppicalNow. Click on 'Live' and select 'Draft' to change te setting. Step 10. Write an explanation in the text field underneath title. Let the user know what’s embedded below for example. Step 11. Copy your embed code in the text field that show 'Paste your code here'. Step 12. If a user clicks on the info button at this page they will see the text that you write in the text field underneath 'Info Button'. Use this to give the users more information on the question or the subject. Step 13. At Page Options you are able to configure answer settings and advanced settings. If you click on select the checkbox at ‘Show full size widget’ the embedded content will be displayed in it’s full size.